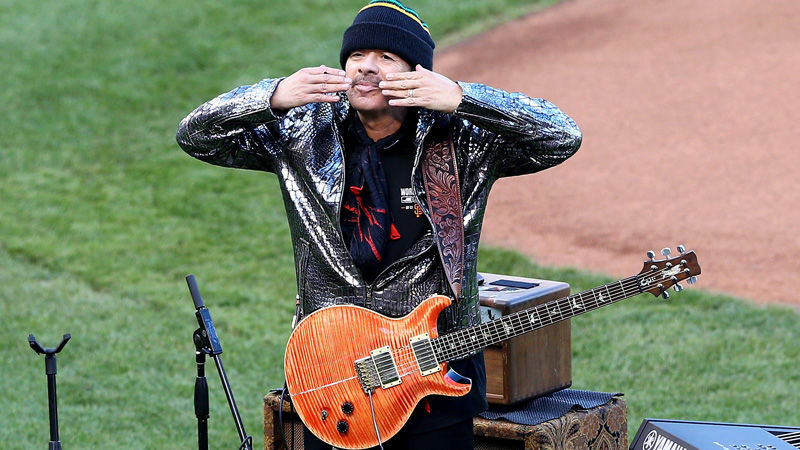 In his new memoir, "The Universal Tone: Bringing My Story to Light," Carlos Santana writes about struggling with poverty and sexual abuse as a child in Tijuana, Mexico and his teenage years in San Francisco. We'll talk to the guitar legend about his rise out of the 1960s music scene into international stardom, his spiritual beliefs and the many musicians and songs that have inspired him. More: Indiebound: "The Universal Tone" Bringing My Story to Light"
Carlos Santana, musician, guitar legend, winner of 10 Grammy Awards, member of the Rock and Roll Hall of Fame and author of "The Universal Tone: Bringing My Story to Light"